So funny…I just posted a recipe of thyme focaccia. 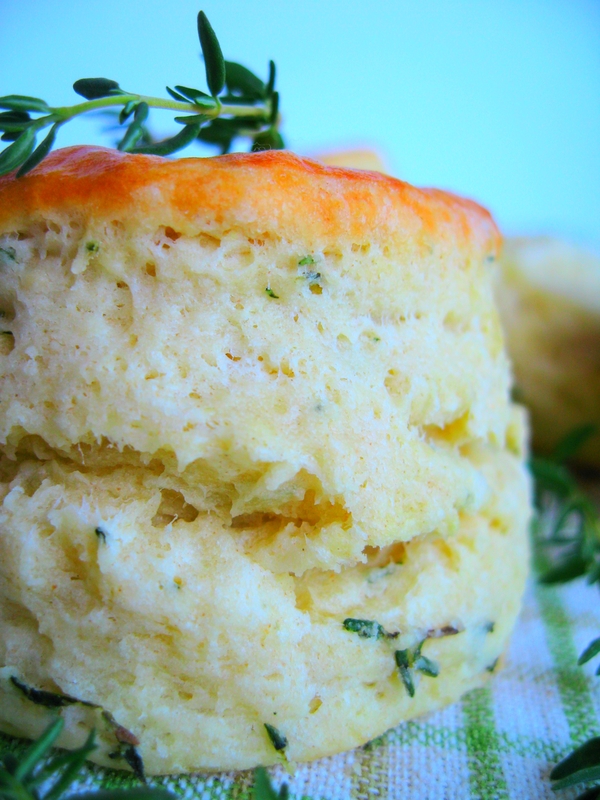 I still have lots of fresh thyme so I really should try these biscuits! This looks wonderful! I love fresh homemade bread and it definitely adds a nice touch to any meal! I agree, these days people don’t make their own bread very often. So any homemade bread (or quick bread) feels especially advantageous. And really, anyone can whip up a batch of biscuits in a couple of minutes. And nothing in the world beats freshly bread hot out of the oven. Delicious! ..these look amazing and seem to be very close to what we call scones in Ireland. Photography is excellent and very inviting. Wow, those look divine! And, the biscuits have soft loft. That’s really impressive. I’ll have to try our your recipe. Actually, thanks for posting, AND thanks for making it look easy! I bet these go with anything and any time of day. I would so love one (ok, two, ok, three) with my dinner. Absolutely delicious! I’ll have to try it out! These biscuts look perfectly light and fluffy. The added thyme is a great addition! Hi, I’ve just discovered your website and WOW what a discovery. Your food looks absolutely gorgeous. These biscuits or scones as we call them look so light & airy, I wish mine turned out that way. I will definately be trying this one. Thank you for sharing. Your biscuits are so fluffy! I can never get mine to puff up that much! Beautiful! Love biscuits! And you’re right – anyone can make biscuits. Just made some savory ones myself 🙂 These are so light and fluffy, too. I would just adore these I can tell. 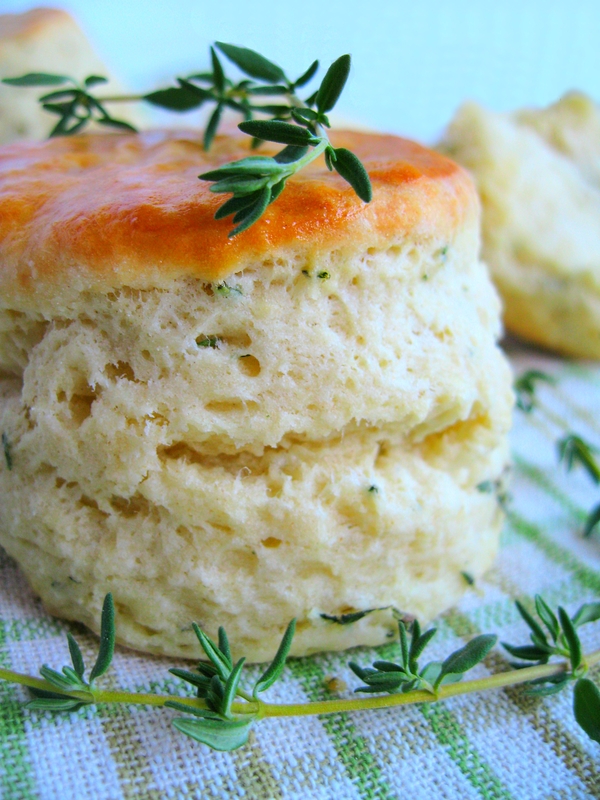 I love thyme and to have them in buttermilk biscuits, which are just to die for anyways…looks absolutely divine. Your biscuits look picture perfect! Love the addition of thyme! Again, this looks soo good! I could defintely do with one of those right now. 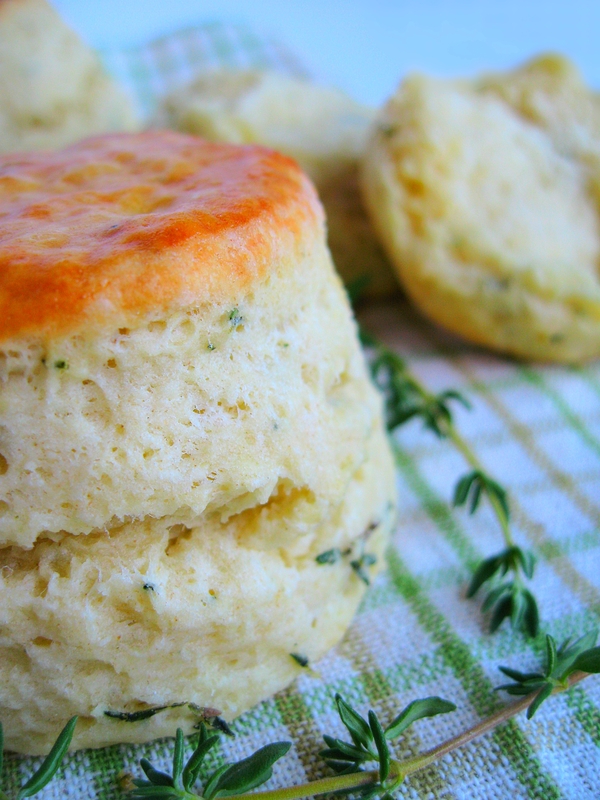 I love buttermilk biscuits and especially with thyme. I am making this tomorrow!